Danaee makes and sells sweater patterns, including a Norwegian-inspired “Ishav” pattern (middle). Danaee drafts patterns, such as this Azulejo shawl, and then sends them to experienced knitters worldwide who test her instructions. Find Danaee’s patterns and more at www.christinadanaee.com. A log cabin along the back roads of Clyde could be the perfect place to knit a sweater. Christina Danaee has crafted quite a few on winter mornings as snow swirls through the woods surrounding her home. Yet her yarn isn’t always housebound; she also knits on mountaintops, airplanes, and beside the ocean in locales like Guatemala. Danaee is a knitwear designer who creates patterns used by knitters around the world. Her grandmother taught her to knit simple scarves at age six, and by the time Danaee was in high school, she was designing clothes for her petite frame. For her own designs, Danaee first sketches the details of the garment and then translates them into a pattern that identifies the number and type of stitches per row. Next, she sends the pattern to “test knitters” who follow her instructions and report back any difficulties they encounter. Her knitters hail from as far away as Australia and Spain, and some aren’t native English speakers. The language of knitting is universal, and so is the act itself. Danaee finished her sixth sweater of 2016 in Guatemala while visiting her husband’s family, and took photos of herself wearing the finished work on the streets of Jocotenango. Her newest project keeps her rooted in Western North Carolina. 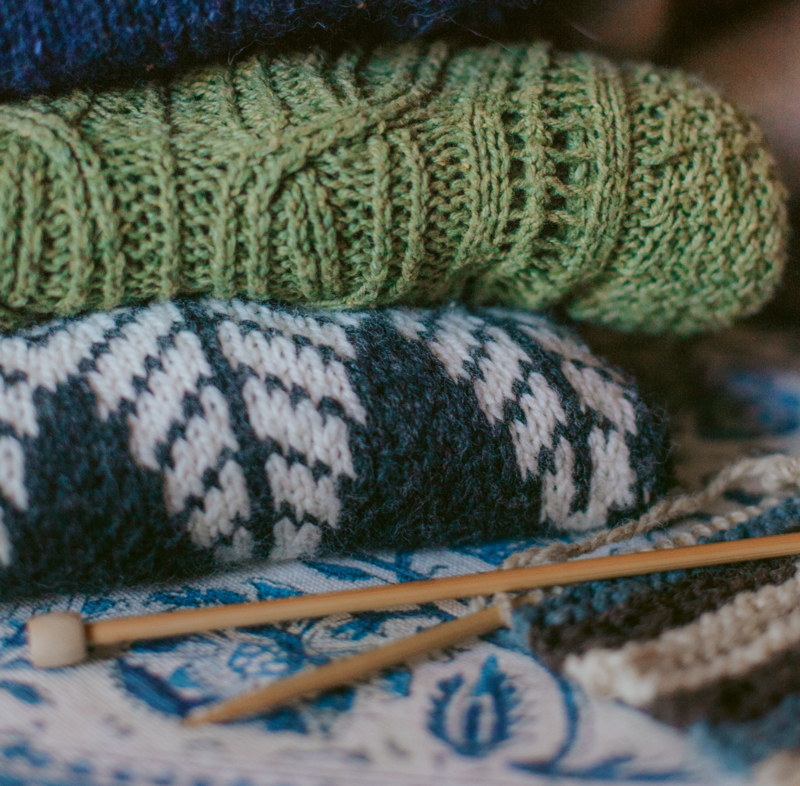 Appalachian Knits is a collaboration with knitter and Asheville native Jennifer Sadler. It’s a collection of knitwear designed with yarn grown, spun, or dyed in the Appalachian mountains. They are currently working with Bovidae Farm in Mars Hill and Fern Fiber in Asheville. Danaee hopes to eventually write a book about the farm-to-needle movement. In the meantime, she feels invigorated working alongside Sadler as they launch Appalachian Knits. Like her international adventures, exploring local fiber is exciting, though she admits she’s only just begun. Find Danaee's patterns and more at christinadanaee.com.